Cancer begins in your cells, which are the building blocks of your body. Normally, your body forms new cells as you need them, replacing old cells that die. Sometimes this process goes wrong. New cells grow even when you don't need them, and old cells don't die when they should. These extra cells can form a mass called a tumor. Tumors can be benign or malignant. Common side effects of surgery are pain, discomfort, and lengthy recovery time. With radiation therapy, common side effects include inflammatory reactions in the areas being irradiated, dryness, thirst, and fatigue. However, traditional Chinese medicine can treat side effects of conventional therapies, helps control pain, and helps keep the immune system strong. In TCM history, tumors were discussed as early as 4,000 years ago on oracle bones. Malignant tumors were first recorded in the Song dynasty (AD 960-1279), which described them as masses that were rock-firm and had uneven surfaces. Over the centuries, TCM has accumulated much knowledge on how to treat cancer. From a TCM perspective, cancer is a systemic disorder and the uncontrolled growth of malignant cells is only part of the whole complex manifestations, individuals also have certain organ dysfunctions, meridian disorders and so on. TCM believes that cancer development is basically due to a weakened body that makes individuals susceptible to different carcinogens. When multiple factors repeatedly act on the body leading to internal disharmony and organ dysfunction, they cause an accumulation of pathological waste products, and these will then induce abnormal growth in certain places. Western allopathic approaches like surgery, radiation or chemotherapy mainly target cancer cells, with little concern about the overall condition of the body, which cause further damage to the body. 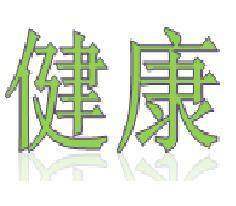 In TCM words, they act powerfully on eliminating the "evils", but do serious damage to the "healthy energy". As a result, the "habitat" that facilitates the growth of cancer cells still exists and this always brings a poor prognosis. Based on a holistic view of cancer pathology, TCM physicians are able to realize substantial changes in cancer patients through unique examination and diagnostic skills, and along with therapies like Chinese herbs and acupuncture that aim at assisting the body to regain balance and achieve homeostasis. TCM can benefit cancer patients significantly and become a useful complement during conventional treatment. Generally, the approaches used in TCM are safe, effective, affordable and accessible to most cancer patients. They control symptoms, shorten recovery time, improve survival rates and quality of life. If you would like to pursue traditional Chinese medicine treatment or information, please contact Xiaoyan.